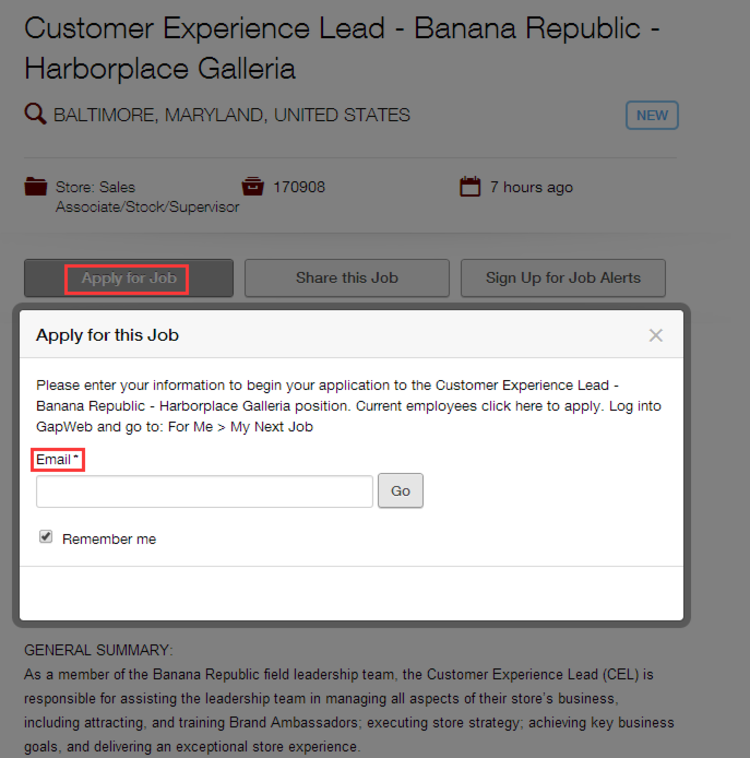 Visit the Banana Republic’s website www.gapinctalent.com/bananarepublic, and you may search for a position you are qualified for in three ways listed below. 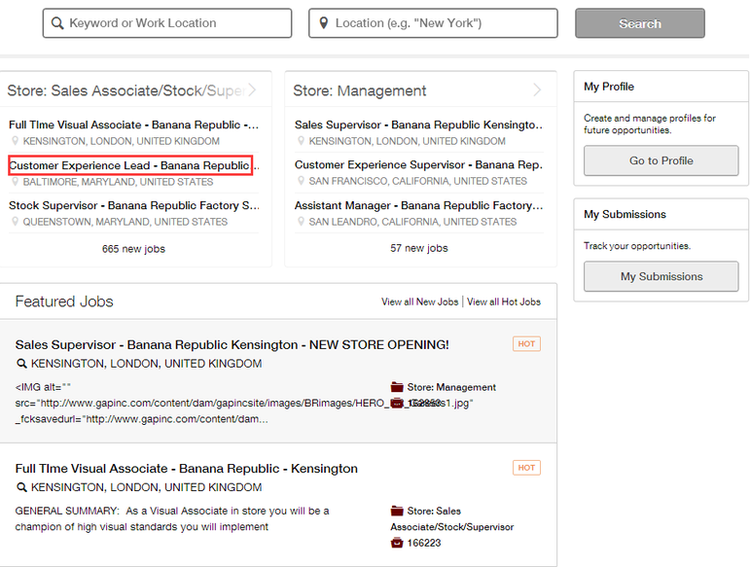 Firstly, you could choose a position among store job openings varying by job categories. Secondly, you may search for an exact position by entering keyword or location, which will save you much time. Thirdly, certain featured jobs are listed on the bottom of the page, which are all hot ones recently. And you cold also choose one from featured ones. After you have selected a position and rad clearly about its description, taking customer experience lead for instance, you shall click “Apply for Job” to apply for it right now. And then you are required to enter a valid email address before starting your application. You are recommended to use your email as the user name and you need to think of a password as required. Such information are important for you to access your account in future. After you have signed in successfully and agreed some statements, you’re required to upload a resume. You may choose to upload one via LinkedIn or from your computer, or you can also manually fill out the online submission. To secure your online application being fully completed, you need to enter certain information, such as your personal information, employment information, experience, qualifications and so on. Note that you’d better fill in all fields within the application process. 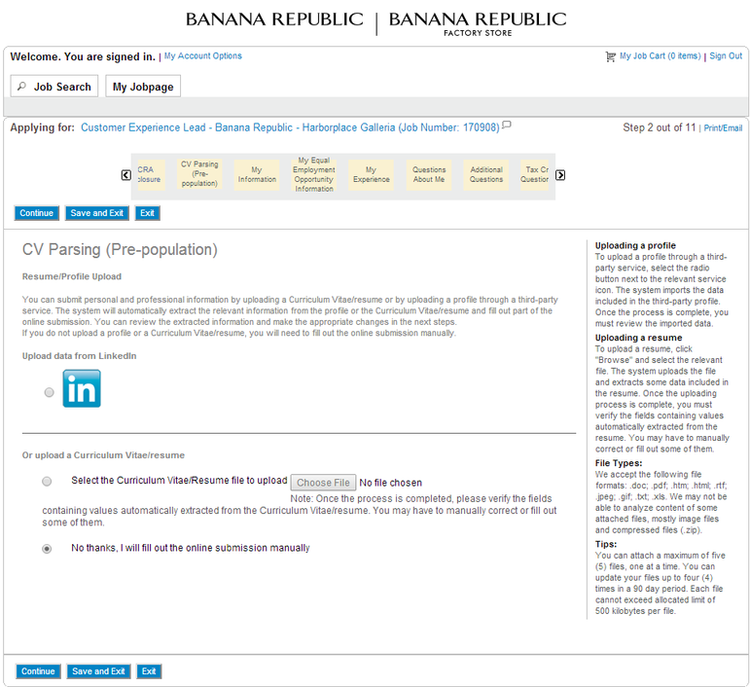 You will be contacted by Banana Republic if you are proved to be equal to the position. 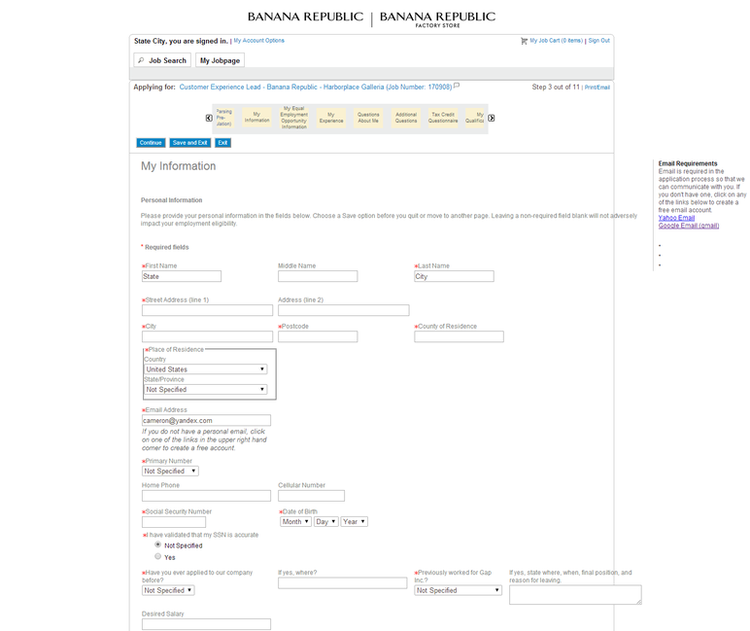 Click bananarepublic.com/careers to apply for Banana Republic jobs online.